Carl and his wife Sandy have been serving in the ministry for 40 years. Thirty-seven of those years has been as a pastor. 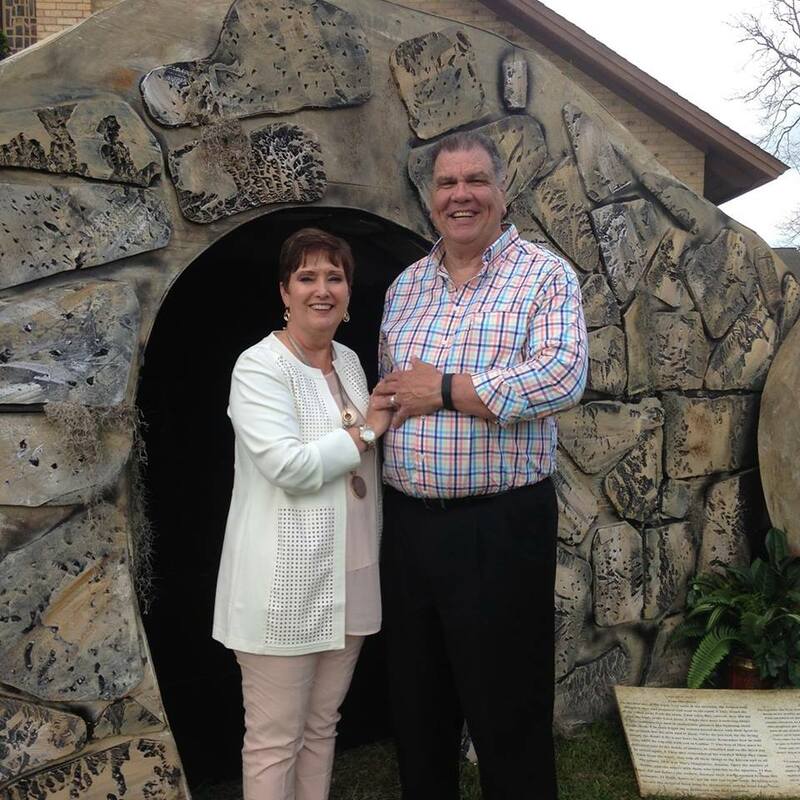 Carl received his education at East Texas Baptist University and Southwestern Baptist Theological Seminary. Carl believes that "ministry is more than my job, it is my life. The Godly men who mentored me taught me to love the Lord and be sure the people know you love Him." Carl and Sandy are co-laborers in ministry and the people they serve are their family. Chester has been serving as the children's pastor at CBC since 2010. He was promoted to Associate Pastor in 2018. He received his bachelor's degree in Biblical Studies from Southwestern Baptist Theological Seminary. He is married to his amazing wife, Crystal, who helps in leading their family toward the Lord. Chester and Crystal have two boys: Chandler who is 20 and Carson who is 13. Chester loves to watch the children praise Jesus. "There is something special when a child opens their life to God." Chester has a heart for families and helping parents raise children that always honor God and follow God’s truth. James and his wife, Becca, have been serving in ministry for 12 years: 7 years in college ministry and 5 years as a youth minister. Becca and James have been married for 4 years and dated for 5 years prior to that. James is currently pursuing a Ph.D in Ethics at Southwestern Baptist Theological Seminary in Fort Worth. He has both his M.Div (Master’s in Divinity) and Th.M (Master’s in Theology) from SWBTS. Becca is beginning her Ph.D. in Archeology in January 2019 at SWBTS after receiving her Master’s in Archeology and Biblical Studies in May 2017. Becca and James work together as a team and consider the youth as family. They strive to help youth and their parents grow in their faith and reach out to those who do not have a relationship with Christ. James is also an avid sports fan and does sports photography to give parents action photos of their kids playing the sports that they love at no charge. Ronnie has been serving as worship leader at CBC for 15 years. Ronnie and his wife, Rhonda retired in May of 2015 after both working for 43 years in their respective fields. They are both graduates of Cleveland High School and Ronnie holds a Bachelor's degree in Accounting from the University of Houston. They have three lovely daughters and three grandchildren. Ronnie's love for music began at a young age. God has transformed that love into a passion for worship. Vicki has served as the administrative secretary at CBC for the last 30 years. She was married to her husband, James for 47 years upon his passing in 2018. and has 4 children and 9 grandchildren, 2 of which she is proudly raising. Vicki loves visiting and serving with the people of CBC. Her desire is to continue to serve CBC until the Lord tells her it's time to follow Him elsewhere. She has been blessed over and over again throughout her life and cannot imagine not having Christ as her Savior. Marie Johnson started with CBC volunteering for the Samaritan House for 4 years. She has been serving as the receptionist for 11 years and serves in Kids World every Sunday. Marie's husband, Carl, passed away 30 years ago. They were married for 26 years and loved every minute they had together. She has 1 daughter who lives in Montreal and 2 great grandchildren. Marie loves what she does at CBC and loves getting to work with such caring people. Marie's desire is to continue going where God leads her because she knows that with Him is the best place to be. Lisa has been serving as Calvary's Early Learning Director for over 20 years. She is married to Robbie and has 3 wonderful children. She is a native to Tarkington and loves every child that comes through the CELC doors. Her desire is for every child to be exposed to the gospel under her care. Lisa's heart is to go and to do whatever the Lord calls her to.